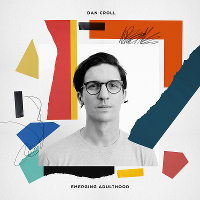 Following the release of his debut album ‘Sweet Disarray’ on Deram Records / Universal last year, singer/songwriter Dan Croll has something new for us. ‘One of Us’ is a brand new single that Croll is touting as a taster for his next release. And the video for it is kind of weird and kind of adorable, like Croll himself. Sounding even wonkier than any song from the current lo-fi trend sweeping the indie world, you can watch Croll playing guitar, drums and posing with a mike, making light of the fact he’s a solo artist and there’s only one of him. At least that’s what I’m assuming, anyway. Watch the video for ‘One of Us’ below. The single is out now on Racquet Records. For past coverage of the former LIPA student on TGTF, click through here. Adorable singer/songwriter Dan Croll has announced a tour of the UK for March 2014. Tickets are on sale now. Listen to his new single out today, ‘Home’, below.